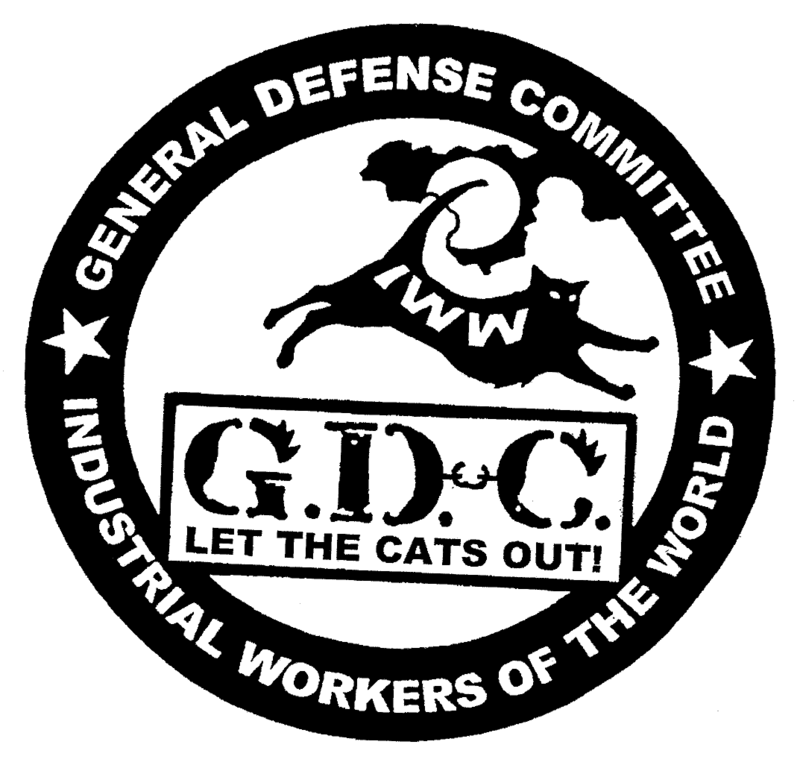 (Minneapolis, MN, April 1, 2017) – On Friday, March 31, 2017, at 5:30 PM, The Twin Cities General Defense Committee (G.D.C.) held a public rally and educational event at the University of Minnesota’s Coffman Union plaza on the topic of anti-fascism and solidarity. The event was attended by approximately 100 people, and was organized in solidarity with the anti-fascist activist, I.W.W. and G.D.C. member who was shot and nearly died on the University of Washington, Seattle campus on January 20th. Educational components of the rally included a discussion of ‘free speech,’ and why anti-fascists argue that framing fascism as a ‘free speech’ question is dangerous. They discussed the anti-fascist tactic of ‘no platform,’ the anti-fascist strategy of refusing to permit fascists platforms from which to promote and organize, as well as the need for a ‘diversity of tactics,’ which refers to the recognition that multiple types of action are required to combat fascism, and argues that anti-fascists should not betray each other simply because they use different tactics. A speaker from UMN Students for Justice in Palestine mentioned that the event took place on Dakota land, and made the connection between modern fascism and the historic settler-colonialism and genocide of the USA. One speaker talked about the Transgender Day of Visibility (March 31st), a day to celebrate trans people and their lives; another mentioned the anniversary of the Alhambra Decree, which in 1492 demanded all Jews in Spain either convert to Christianity or leave the country. A relative of the family whose home was burglarized and defaced with hate speech graffiti in Delano, Minnesota, spoke of how his relatives are leaving the town as a result. The evening ended with the group destruction of a faux-wall by the attendees. A crowd favorite included about 6 kids between the ages of 5-10 throwing themselves into the cardboard wall and destroying it with gleeful abandon. That wall was intended to represent Trump’s proposed border wall, as well as the oppressions and isolation that result when we don’t offer or receive solidarity from others when we need it. The destruction of the wall was a particularly fun part of the evening, especially appreciated by the youngest members in the crowd. The Twin Cities G.D.C. encourages people to make it clear to themselves, their friends, their family, and their neighbors, that they oppose hatred and won’t tolerate its expression or organization. There are consequences for hateful and violent speech. We are those consequences. We will collectively reaffirm that the norms of our society cannot include hate, fascism, racism, misogyny, transphobia, Islamophobia, ableism, or any other form of hatred. Our oppressions may be different, but by supporting each other in combatting them, we create a better, more peaceful, more just world. It will take a lot of work, and we’re just getting started. Join us and each other in the struggle against hatred and fascism. Act in a way you will be proud of. Act your better self. “Wherever you meet injustice, the proper form of politeness is attack.” -T-Bone Slim, I.W.W. organizer (1880-1942). Unicorn Riot, the radical news organization, live-streamed the entire event, which can be seen here. KTSP5 ran a piece that used our rally as a frame, but focused entirely on a cop-run meeting about hate crimes in campus that had about 1/3 the attendance. We suspect that meeting was scheduled after finding out about our rally as a way to preempt our message that they are failing to keep university students safe, despite their assurance that there are “plenty of resources” on campus for those who “feel” they’ve been victims of a hate crime. UW-Madison held a rally at the same time, drawing a large crowd. As above, the news reporter for the student paper misfocused, instead giving most attention to Alt Right ideologies in the crowd.